The Milo Fine Free Jazz Ensemble was founded as Blue Freedom by Milo Fine (with Scott Munsell and Steve Dokken) in 1969. During the next six years, a procession of musicians, including Gary Matala, Dean Granros, Rick Barbeau, Greg Anderson, Joe Smith, Dave Madson, Jeff Johnson (the jazz bassist), Dwight (Richard) Marriott, Spencer MacLeish, Gary Knox, Tom Lewis, Carei Thomas, Michael Yonkers, Mark Maistrovich, Anthony Cox, Scott Newell, Curtis Wenzel, John O’Brien, and Nick Radovich passed through the group as its name changed to Blue Freedom’s New Art Transformation, and, in 1973, the Ensemble. Two years later (1975), after an introduction arranged by Newell, Fine teamed up with Steve Gnitka to become the Ensemble’s nucleus. The core of Milo’s public appearances in the Twin Cities have been rooted in self-determination. From 1970-2013, he produced a continuous series of concerts at eight Minneapolis venues; the most respectful and welcoming being Homewood Studios. (However, thanks to departing executive director David Alderson, the last 8 years or so at the West Bank School of Music were extremely pleasant as well.) Starting in 2014, these concerts are ongoing at his home-based Studio Toile d’Angles. In addition to these series’, and other Minneapolis/St. 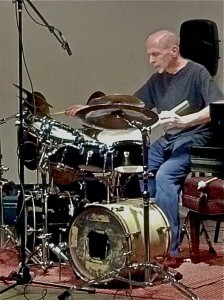 Paul performances, which have involved collaborations with Newell, O’Brien, Cox, Lane Ellwanger, Pam Scheiner, Jason S. Shapiro, Elliot Fine, Nathan Smith, Davu Seru, Andrew Lafkas, Charles Gillett, Derek Bailey, Dave Stone and others, Milo and Steve have, as a duo, and in tandem with other musicians (the group Borbetomagus, André Jaume, Wolfgang Dauner, Amy Sheffer, Raymond Boni, Joe McPhee, et. al.) presented their work in France, Germany, Switzerland, and New York. Milo has also appeared in Chicago with Gutter Cleaners (1982-1992), an improvisational music/movement duo he co-founded with dancer Susan J Sperl; in London as a participant in Company Week ’88 curated by Derek Bailey, where he collaborated with over a dozen musicians, including Bailey, Lol Coxhill, Peter Kowald, Gavin Bryars, Conrad Cook, LaDonna Smith, and Dennis Palmer; and in Austria (1996/1997) as a member of the Reform Art Unit, with Fritz Novotny, Sepp Mitterbauer, Walter Malli, Paul Fields, Karl Wilhelm Krbavac, Sandro Miori, et. al. (At the time, he thought he was an RAU member for the duration of the short tour in ’97. In 2014, however, he was informed that, from that time on, he was actually considered a bona fide member of the group, and its overarching “reformARTmusic” umbrella.) 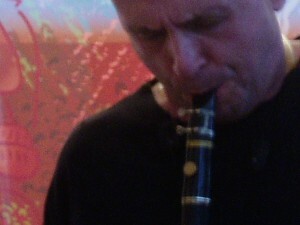 He returned to England (London, Sheffield, and Leeds) in 2003 for a six and a half week intensive, participating in sixteen private and public events — including an appearance at the Freedom Of The City festival — with thirty-one musicians. These artists included two (Tony Wren and Marj McDaid) he initially worked with in 1982 when they visited Minneapolis/St. Paul, eight (Paul Shearsmith, Paul Hession, John Jasnoch, Charlie Collins, Alex Ward, Mick Beck, Alan Wilkinson, and Roger Turner) he first met and/or played with at Company Week ’88, as well as Bailey, Phil Wachsmann, Matt Hutchinson, Hugh Davies, Gail Brand, Alex Ward, Marcio Mattos, Sunny Murray, John Edwards, Tony Bevan, and John Russell. 2004 found Milo traveling to Wesleyan University (Connecticut) where, in addition to presenting a concert (with Andrew Raffo Dewar and Lafkas), he conducted a workshop and colloquium, and joined Anthony Braxton for a recording session. The aforementioned trio then went on to present concerts in Baltimore and Philadelphia. (For the latter event, they were joined by Jonathan Fretheim.) Milo’s other work outside of the Ensemble includes, in the 70s and 80s, being a periodic collaborator in Newell’s groups — Reykjavik Gold and the Keith Miller Trio (aka Newell/Miller/[Tom] Prideaux) — as well as O’Brien’s ensembles (often with Gnitka.) Additionally, during that time he occasionally partnered with Scheiner, Jean Decker, et. al. 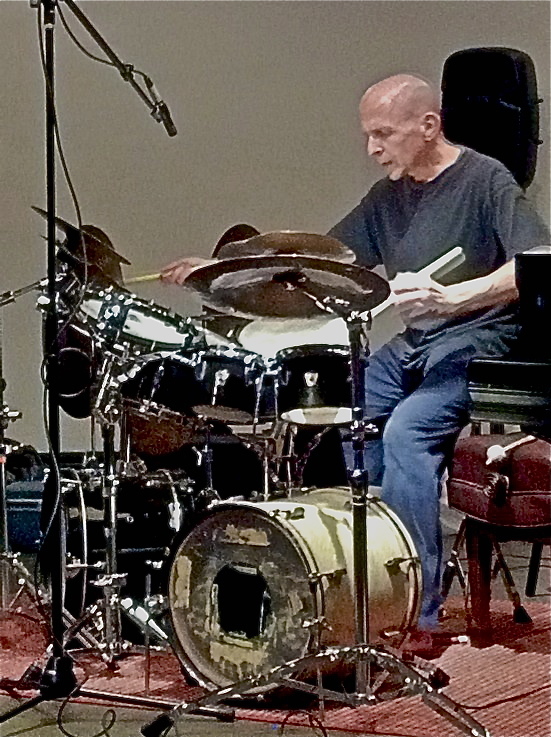 He also recorded with the Teenage Boatpeople (led by Jeff Johnson; not the jazz bassist), Gordon Heimer, Walter Zuber Armstrong, Borbetomagus, and, in 1999, the Gorge Trio. (Public appearances in these configurations were, in the case of the Boatpeople, periodic for a couple years in the late 70s/early 80s; in the case of the Gorge Trio, nonexistent; and, for the remainder, one-time events, though Groid, an offshoot of Gordon Heimer, featuring Milo and Terry Ingram, presented their work regularly for nearly two years.) From 2000-2005, Milo worked in a variety of groups with Seru, Lafkas, Gillett, Jack Wright, Ed Rodriguez, N. Smith, O’Brien, Cox, E. Fine and others. One of these groups, the trio Discussion Unit, was the direct result of Milo’s reestablishing contact with Anthony Cox in 2003 after more than two decades. With Seru replacing J. T. Bates in 2005, the group became Charcoal, which, as part of the 2006 Minnesota sur Seine festival, collaborated with Evan Parker. (Three years after its founding, Charcoal became a quartet with the addition of Stefan Kac; and then, unofficially disbanded when Stefan left for the west coast in 2011.) In 2007 and 2008, Milo partnered with Roger Turner for a concert, Tim Hodgkinson for a recording session, and Didier Petit for an ’08 Minnesota sur Seine festival set. (Milo convened a trio with Didier and Viv Corringham — who he first met in London in 2003, and began working with the subsequent year when she moved to Minnesota — for a recording session in 2009, and a concert in 2010.) 2007 also marked the founding of the short-lived Trio Raro: Milo, Andrew Raffo Dewar, and Seru. 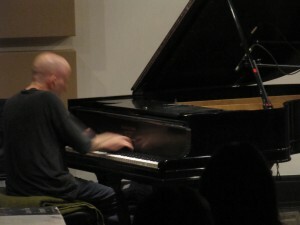 Two-thirds of that trio (Milo and Davu) collaborated with Taylor Ho Bynum for a 2009 concert, and that same year found Jeff Johnson reactivating the Teenage Boatpeople with Tim Mauseth as the third member, and the beginning of ongoing collaborations with Paul Metzger and Elaine Evans. 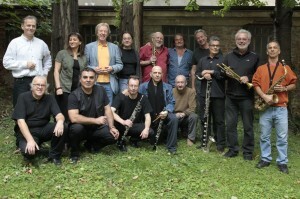 Milo returned to Vienna, Austria in 2010 for a recording session and concert with the Reform Art Orchestra (Subwayart_3). With an in-depth interview, private session, recording sessions and a concert, 2010 also saw the start of an ongoing collaboration with multi-instrumentalist/academician Erkki Huovinen. And 2015 marked his reestablishing contact with Wright in a trio instituted by Seru. That same year, Milo brought Reform Art Unit founding members Fritz Novotny and Sepp Mitterbauer to Minneapolis for 3 concerts at Studio Toile d’Angles. 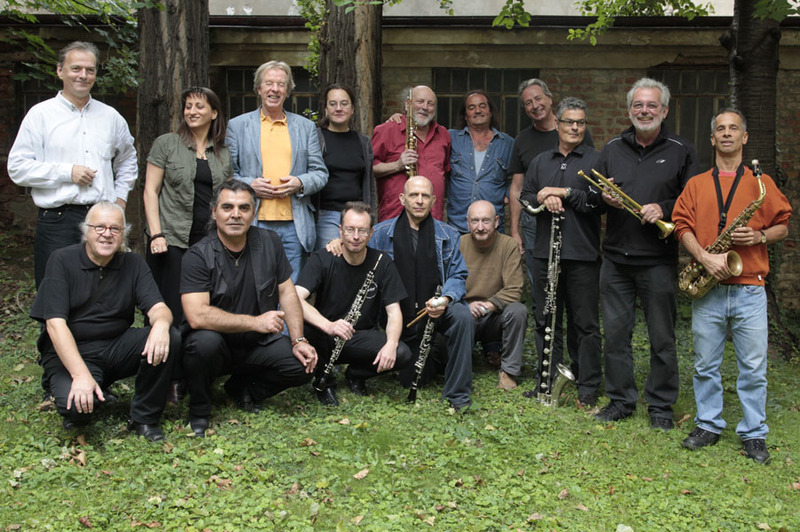 2016 found Milo in Hamburg, Germany (with Lafkas and percussionist Chad Popple), and Vienna & Gmunden, Austria (with the reformARTclassic sextet: Novotny/Fields/Alaeddin Adlernest/Krbavac/Raoul Herget; and a reformARTwest quartet: Novotny/Adlernest/Karl Vößner), along with 2 days of reformARTorchestra small group recording sessions for the “Improcomposer Opera” LP. He returned to Austria in 2018 as part of Three Motions (with Novotny and Fields) and the reformARTseven (Novotny/Fields/Herget/Johannes Groysbeck/Rina Chandra/Franz Koglmann) for concerts in Gmunden and Vienna. Thanks to the initiative of Seru, 2018 also saw the resurgence of Charcoal. Noteworthy Minneapolis/St. Paul collaborators from 2006 or so to 2017 include Seru, Gillett, Evans, Metzger, Kac, Bryce Beverlin II, Daniel Furuta, Joseph Damman, Newell, O’Brien, Corringham, J. Smith, Cox, Aerosol Pike (Philip Mann/Ryan Reber/Rick Ness), the Boatpeople, Kevin Cosgrove, Sam Wildenauer, and Benjamin J Mansavage Klein. 2013 found Corringham moving to New York, Huovinen returning to Finland and Gnitka & O’Brien effectively curtailing their public performances. In 2017, Milo began collaborating with soprano saxophonist Emerson Aagaard, and, in a rare turn of events, was approached by choreographer Leyya Mona Tawil to participate in her piece DESTROY//Minneapolis. Milo’s most frequent collaborators now include Gillett, Evans, Wildenauer, Furuta, Klein, Aagaard, Damman, Beverlin II, Metzger, and, logistics permitting, Popple, Dewar, and Lafkas. Additionally there are occasional concerts with Seru, Cox, Jeff Johnson (the Boatpeople, now a duo with guests), and poets George Roberts & Michael Mann.